Fifty years ago, Senators Wayne Morse and Ernest Gruening cast visionary votes against the Gulf of Tonkin Resolution and war in Southeast Asia. After just forty minutes of debate on August 7, 1964, the US House voted 416-0 to authorize President Lyndon Johnson to use of “conventional” military force in Southeast Asia. The Senate debate took longer—roughly nine hours—giving voice to the deceit, deception and fantasy that would serve as the excuses for what came to be known as the Vietnam War. Yet it also solidified the reputations of two dissenting senators as visionaries. Senator Morse formally opposed the resolution on constitutional grounds, declaring that Article I of the Constitution would be violated if Congress surrendered its authority to check the President’s power. The Constitution establishes the President as commander-in-chief of the armed forces, but to balance and check this power the Constitution invests Congress with the power to declare war. When the resolution passed, Morse declared that Congress had surrendered its authority, and therefore the authority of the people it was elected to serve. Morse also deplored the open-ended nature of the approval and condemned Congress for giving the president and the military a “blank check” that would be cashed with taxpayer’s money and citizens’ lives. The other foe was Ernest Gruening, a former editor of The Nation who helped lead the territory of Alaska to statehood before his election as the new state’s senator. Gruening shared Morse’s constitutional concerns. But as a long-time participant in great debates about issues of colonialism, empire and democracy, Gruening outlined a second set of reasons for opposing the resolution. Echoing arguments made by the Johnson administration, the Gulf of Tonkin resolution claimed that “naval units of the Communist regime in Vietnam, in violation of the principles of the Charter of the United Nations and international law, have deliberately and repeatedly attacked United States naval vessels lawfully present in international waters, and have thereby created a serious threat to international peace.” Historians and scholarly analysts would eventually call much of what was claimed into question, debunking key practical and political arguments for the resolution; but Gruening acknowledged a measure of conflict. To Gruening and a few others, that seemed dangerously open-ended. One of the youngest members of the Senate, Wisconsin Democrat Gaylord Nelson, proposed an amendment explicitly stating that Congress wanted no extension of the existing military conflict and no direct military involvement by the United States. Nelson was told by Senate Foreign Relations Committee chairman William Fulbright, D-Arkansas, that the amendment was not “contrary to the joint resolution,” but Fulbright said it could not be added for procedural reasons. With that assurance, Nelson grudgingly supported the resolution. But Gruening, a World War I veteran who in the aftermath of that awful conflict campaigned for anti-imperialist Senator Robert M. La Follette Sr.’s 1924 presidential run (as did a young Wayne Morse), refused to write the blank check. The Alaskan had already advised the Johnson administration, to “disengage immediately, to relieve all our military of combat assignments and bring them home at once”—telling the Senate in March 1964, “I consider the life of one American boy worth more than this putrid mess. I consider every additional life that is sacrificed in this forlorn venture a tragedy. Some day…if this sacrificing is continued it will be denounced as a crime.” Now, he announced on the Senate floor that he would oppose the Gulf of Tonkin Resolution. Gruening described, with eerie foresight, how Johnson and then President Richard Nixon might use the resolution to extend an undeclared war. 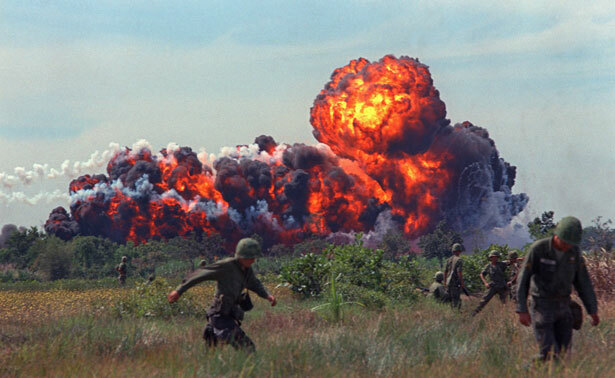 More than 58,000 Americans would be killed in action, along with hundreds of thousands of Vietnamese soldiers and civilians, and hundreds of thousands more in neighboring countries. But, as is so often the case in politics, foresight was not rewarded. In 1968, Gruening was defeated for re-election, as was Morse. Gaylord Nelson, who within weeks of the vote was warning that the president was exceeding the authority he had been granted, survived politically and became a leading antiwar voice in the Senate. Long after a 1970 amendment vote in the Senate renounced the Gulf of Tonkin resolution, Nelson was still paying homage (in interviews with this writer and others) to Morse and Gruening for getting it right when it mattered. American history contains the stories of a number of brave representatives and senators who have recognized the folly of surrendering “blank-check” authority over matters of war and peace to the executive branch. Bob La Follette, the Wisconsin progressive who so inspired Gruening and Morse, led a lonely band of senators and House members who in 1917 opposed Woodrow Wilson’s rush to enter World War I.
Jeannette Rankin, who as a young House member from Montana joined La Follette in opposing World War I, cast the sole vote and against declaring war following the 1941 Japanese attack on Pearl Harbor. Congresswoman Barbara Lee, D-Montana, cast the only vote against authorizing President George W. Bush to wage an initially ill-defined and open-ended “war on terror” in 2001.